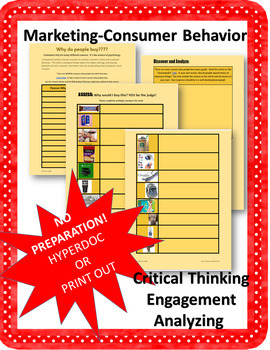 Marketing-Consumer Behavior HyperDoc OR Print-NO PREP! NO PREPARATION! This product can be used as a digital HyperDoc OR print in packet form (4 pages) and provide the students with a packet with the information from the links. Critical thinking, discovery, analyzing....21st century learning at its BEST!